For you warm weather lovers, this should bring some 80's to the region. Between these high pressure ridges, we will see some wind but nothing like we have seen for the last month. There is little or no chance of significant precipitation for at least the next 10 days as temperatures will warm, fall off slightly and then get even warmer. 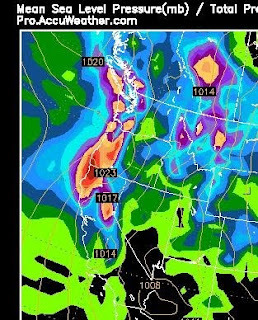 Squaw Valley Could Exceed 150" in less than 30 days of Late March and April! You can literally read my last post which was last week and expect almost the same exact weather this week. It is truly amazing. The only difference is this storm is larger and it will be even colder. 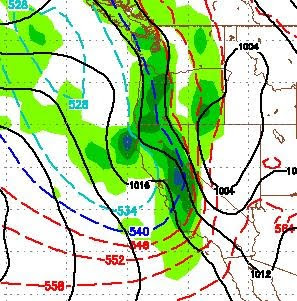 The models are in agreement that starting tomorrow morning the snows will begin in the Sierra and they should last through Wednesday when the cold front comes through and pulls in the real cold stuff. This is more of a Tahoe event than a Mammoth event. 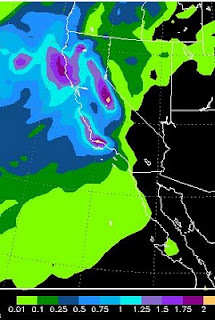 Some areas along the west short of Tahoe could pick up 4 inches of liquid precip. That could translate into 3-5 feet of snow. Our temperatures will begin to recover around next Saturday where there are some indications that we could see some stable weather with high pressure building in. That could last around a week and could bring us some 80's before the next series of storms arrives around the 10th of May. Mt. Rose closed too early this year. A large storm is headed our way for this week and our weather will be stormy for about another week or more. 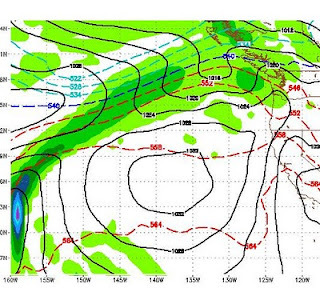 I talked about this pattern in my last two posts and it is a typical spring pattern in an El Nino year. I apologize for not posting this earlier, but I have been out of town. For those of you looking forward to more hospitable golf weather, there are indications that May might come in like a lamb after this very turbulent April. However, the real stable weather will not show up until well into June I expect. 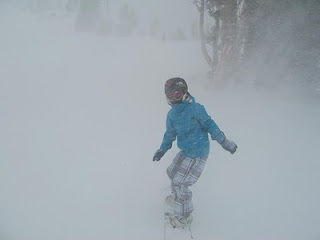 She is a good sport as the wind was howling around 50+ mph and snowing heavily. 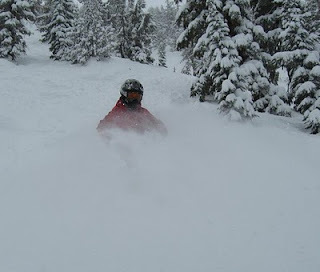 It took about 1 hour for conditions to turn to all powder. However, very slow lift and at the top it was a little hairy. This is supposed to continue until about 3:00 tomorrow afternoon.